Animal Crossing: Pocket Camp players are about to receive a little more crossover content this week. 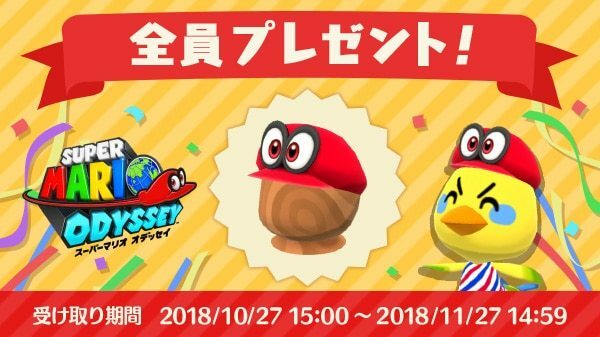 To celebrate the one-year anniversary of Super Mario Odyssey, Nintendo will be distributing in-game hats that look like Mario’s partner Cappy! 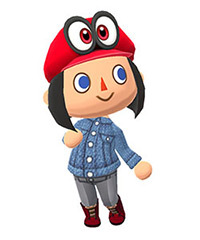 You will be able to wear the item, or place it on other animals. The promotion will be active from October 27 – November 27, so don’t forget to check-in then. 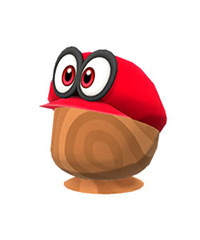 In the meantime, you can check out some shots of the Cappy item below.